wow…that’s a low low rating, that’s crazy. I feel it had my worth than that. 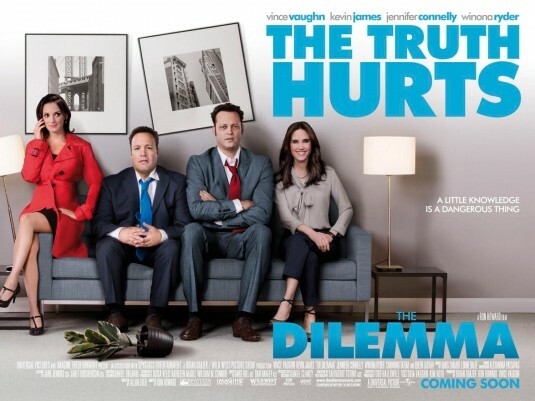 I feel Vince Vaughn and Channing Tatum made it at least a decent 7.0, even though I gave it better rating. I like your detail review, but I think those two I mention with their bouts brought the comedy, but I can agree that all the other cast sucked, and was very dry. kudos for you comment, much appreciated. I’m afraid the whole thing was just really badly balanced: didn’t work as a drama and was just too slow for a comedy. Also it’s hard to care when you don’t like any of the characters on the screen. Excellent review. I really don’t think I could have stomached this so kudos also for watching it. US star vehicle comedies are always terrible nowadays, and when I think of all the better films that could have been made for the money, my blood boils. Isn’t 4.5 a trifle high though, given the review? No, I think 4.5 is OK. There a couple of OK scenes (mainly the whole section around him spying the lover with his camera), and I honestly did think Ron Howard was trying to do something a bit different: a more emotional comedy/drama. He failed but at least he tried. Thanks for the message, by the way.